Canberra Tenor Evan Kirby is currently studying in the elite Bachelor of Music Vocal Performance at the Sydney Conservatorium of Music. He studies voice under the guidance of Ms Maree Ryan AM, Chair of Vocal and Opera Studies and is the recipient of scholarships from the Conservatorium, St. Andrew’s College, The Sydney Eisteddfod and the Patim fund. Credits as an oratorio soloist include Mozart’s Great Mass in C minor (Manly-Warringah Choir, conductor Dr Carlos Alvarado); Requiem (Igitur Nos Orchestra and Choir, conductor Matthew Stuckings and University of Canberra Chorale, conductor Alan Hicks); Handel’s Messiah (Penrith Symphony Orchestra, conductor Paul Terracini, Hornsby Ecumenical Choir, conductor Phillip Linquist); Israel in Egypt (Sydney Conservatorium Early Music Ensemble, conductor Dr Neil McEwan AM); Haydn’s Harmoniemesse (Choir of Christ Church St Laurence, conductor Dr Neil McEwan AM); Nelson Mass (Eastern Sydney Chamber Orchestra, conductor Luke Spicer and Igitur Nos Orchestra and Choir, conductor Matthew Stuckings); and Stainer’s The Crucifixion (St Stephen’s Uniting Church Choir, conductor David Hood). 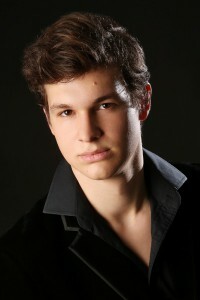 In 2017, Evan is also performing as the tenor soloist in Beethoven’s 9th Symphony (Penrith Symphony Orchestra, conductor Paul Terracini), Vaughan Williams’ Serenade to Music (Sydney Philharmonia Orchestra and Choir, conductor Brett Weymark) and Rossini’s Stabat Mater (Kur-ring-gai Philharmonic Orchestra, conductor Peter Ellis). Opera credits include the roles of Reverend Mr Jones and Dr Wilkinson in Malcolm Williamson’s English Eccentrics (Con Opera, conductor Dr Stephen Mould); and King Kaspar in Menotti’s Amahl and The Night Visitors (Penrith Symphony Orchestra, conductor Paul Terracini).